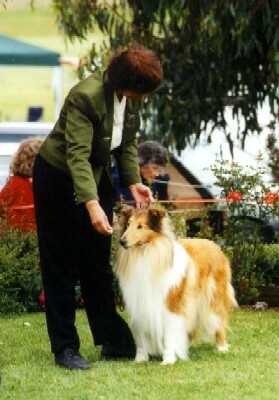 The above photo shows Jarrah at the 2000 Tasmanian Collie and Shetlands Sheepdog Club Championship Show being handled by my good friend, Petra Hakvoort, of Kazzahki Shetland Sheepdog Kennels. 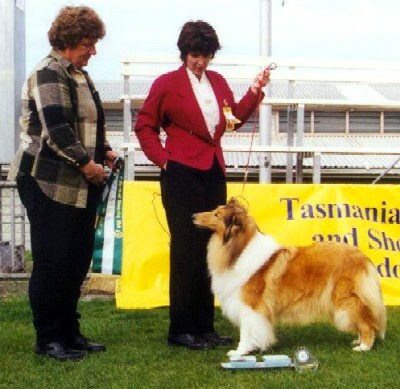 Jarrah began her show career at 14 months of age when I begged my friend, Leanne Tinsley, of Kgari Kennels to allow me to take Jarrah to the 1995 Victorian Collie Club (VCC) Show Championship Show. Up until this time Jarrah had only been shown twice as a baby puppy. She took Junior in Show at the VCC that year under Judge, Denise Grace (Jaymlyn Collies, N.Z.). She returned to Kgari Kennels but was not shown and then to my great delight, at the end of 1996, Leanne allowed me, under lease, to breed Jarrah to N.Z. Ch. Jaymlyn Ultimate Issue (N.Z. IMP). This breeding produced Ch. 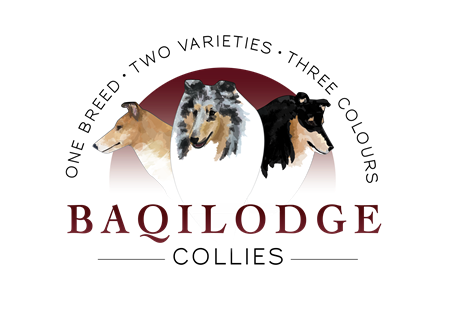 Baqilodge Hats Off and Baqilodge Heart and Soul (who went to live with Pintado Collies) At this time Leanne agreed to allow Jarrah to stay with me, for which I will be eternally grateful. Thank you so much, Leanne. 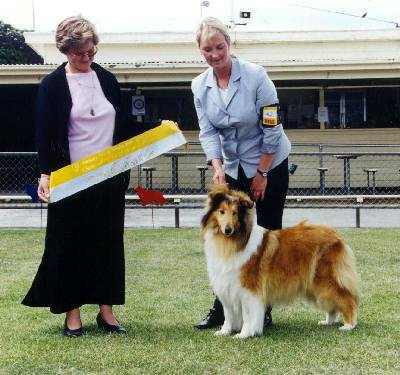 Best of Breed & Open in Show – The Tasmanian Collie and Shetland Sheepdog Championship show – 2000. with the following critique from Judge: Mrs Kishandra Nelson (WA). Collie (Rough) of the Year 2001/2002.